The first foundation I ever used and it's still sticking around in my everyday makeup routine. Great natural foundation for everyday. As I mentioned before, the L'Oreal True Match Mineral Foundation, was the first foundation I ever used. Back then I didn't want to use anything liquid or creme on my face, because I didn't like the feeling of it, and with my oily skin, I only wanted something that could mattify my face immediately, while covering my crazy teen acne. This is a great foundation both for younger people, who are just getting in to makeup and everyone else that won't something easy. It's lightweight and you won't feel on your skin during the day, it has light-medium buildable coverage (if you able less it's more natural, and if you able more it has medium coverage) and it stays on for about 7-8 hours, which is about a full day of school or work. If your skin is super dry and flaky, stay away from this foundation, it will enhance the dryness. 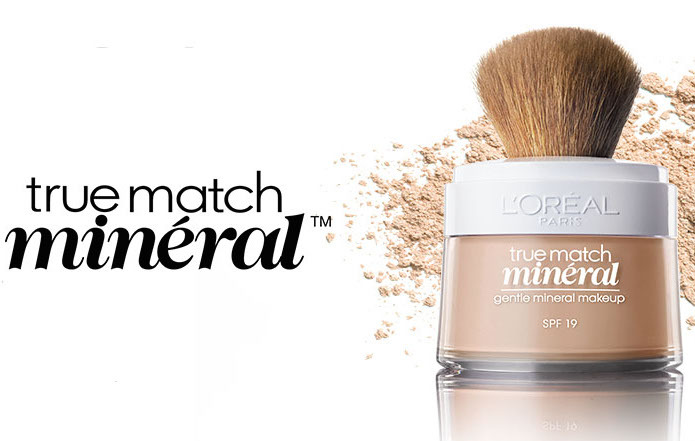 L'Oreal True Match Naturale Mineral Foundation ($14 - 140 DKK) is available in most stores that sell makeup.